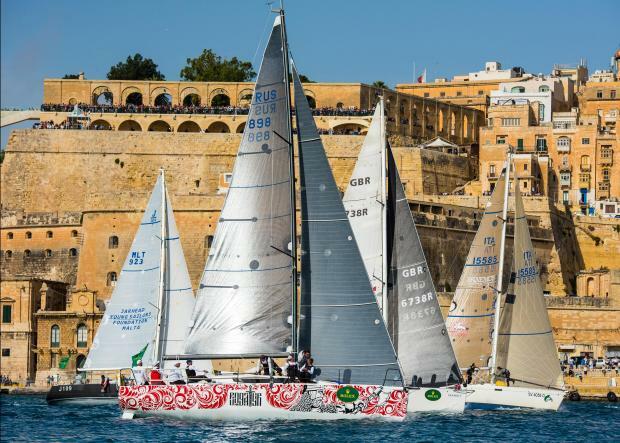 Bogatyr has been declared the overall winner of the 38th Rolex Middle Sea Race. 25th October, 2017– Igor Rytov’s Russian-crewed JPK 1080 Bogatyr has been declared the overall winner of the 38th Rolex Middle Sea Race. While a number of yachts are still racing, none has the possibility of beating Bogatyr’s corrected time. Bogatyr is believed to be the first Russian yacht to win one of the classic 600-mile offshore races. Rytov is an accomplished sailor, but is a recent convert to offshore yacht racing. He campaigns a Melges 20 with great success on the international circuit and a number of his Melges crew were with him on this race.